My mother is a wonderful cook. When I was growing up she made sure we had well-balanced breakfasts, yummy sack lunches and homemade dinners. None of which my sisters or I fully appreciated at the time. Also, my mom made everything from scratch. Everything. Like, her own maple syrup. Or fresh pizza dough. On snowy days she made hot cocoa with actual cocoa powder, sugar and milk, topped with homemade whipped cream. And her ungrateful children had the audacity to ask, "Next time can we have Swiss Miss and Cool Whip like Jessica's mom makes?" In fact, when I left home and started buying my own groceries, the supermarket became an undiscovered world of pre-packaged goods I never knew existed. Wait...you can buy cookie dough in a package? Instant mashed potatoes in a box?? WHAT SORCERY IS THIS??? It actually felt a little bit like cheating to buy things like minute rice or frozen waffles. Most college kids hide the alcohol when their moms come to visit. I hid the canned soups. Is that a marinade...from a jar?? It was. It is. And it's amazing. 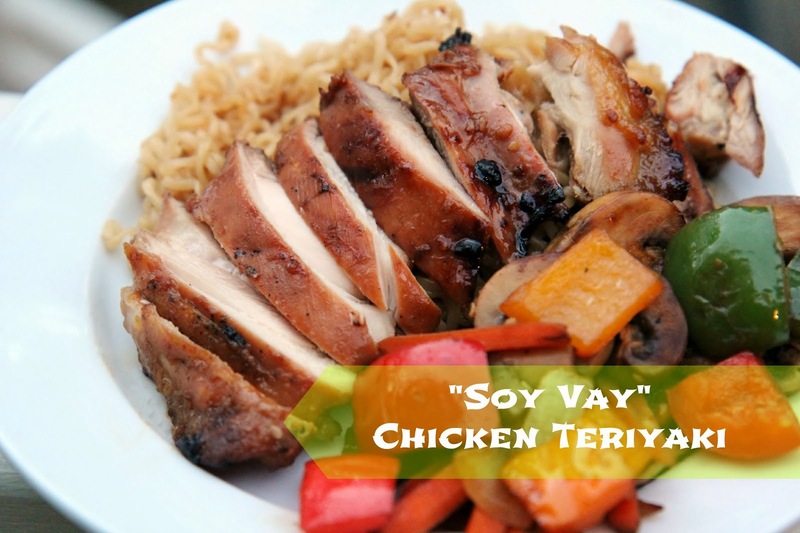 It's Soy Vay Island Teriyaki. It's certified kosher, preservative-free and you can find it at most grocery stores, Target and Wal-Mart. It's a wonderful marinade (love it with shrimp!) or a stir-fry sauce with vegetables or a dressing for an Asian-inspired pasta salad. It's hard to beat homemade, but sometimes even my mother finds a product she wouldn't mind passing off as her own. There are a lot of great marinades out there and if they save me time in the kitchen, all the more reason to stock up. Now when it comes to freezer meal cooking, store bought marinades are probably not the first thing you picture, but here's the thing. When I buy meat, I usually buy in bulk, whether it's at a club store or because it's on sale. We obviously can't eat it all in a week, so some of it has to go in the freezer. And for me, stuffing my freezer full of raw meat is the KISS OF DEATH. I might as well throw it in the trash because when dinnertime is approaching and I open the freezer and see nothing but raw chicken, I FREAK OUT, SHUT THE DOOR AND ORDER PIZZA. BUT. If the meat is already prepped, even if it's only in a marinade, I don't have to do any other thinking. I simply pat myself on the back for dreaming up such a simple, delicious meal three weeks prior, then take it out to thaw and gather whatever else I need. This gets complicated so pay attention. (1) Put your meat of choice in a ziptop bag (boneless, skinless chicken thighs in my case). (2) Pour the marinade on top (only about 1/3 of the bottle, depending on the amount of meat). (3) Freeze. Phew. Now wipe your brow. If you've never cooked with b/s chicken thighs before, GET SOME ON YOUR NEXT GROCERY RUN, PRONTO. They are more flavorful than chicken breasts, they cook more quickly and they stay juicy. My favorite way to prepare them is on the grill, only 5 minutes per side. You can also bake them in a shallow dish at 425ºF for 15-20 minutes. 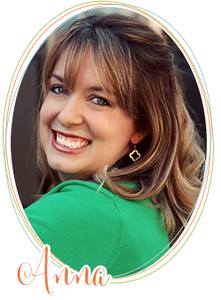 My children prefer the baked thighs because they don't have the "yucky parts." Also known as "grill marks". My mom approves. What else can I say? It's sweet, it's spicy, it's my favorite way to grill up pork chops! 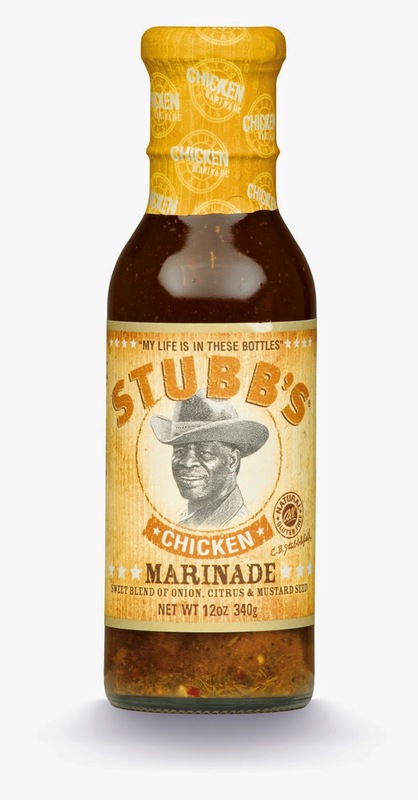 Stubb's Chicken Marinade pairs perfectly with, well, chicken! Also try it on grilled veggies. 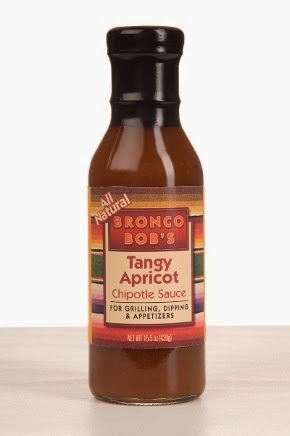 Original Thomas Sauce is an amazing marinade for steaks, especially kabobs. McCormick Grill Mates come in a variety of flavors and can be used on anything - seafood, poultry, meat or veggies! The McCormick website has a ton of recipes as well. How about you? What store-bought "secret ingredients" are you hiding up your sleeve? Check out more Freezer Meal recipes here! I'm the same way open frozen meat. You mean I have to thaw it out and then prepare?! No way. This is such a great idea! Pinning! I found you via Pinterest! I love all your freezer meal ideas! Thanks for sharing!